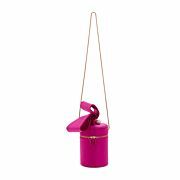 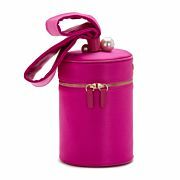 Gorgeous fuchsia satin cylinder bag with pearl detail. 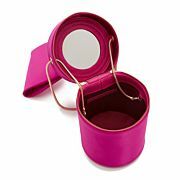 Finished with an interior mirror, top handle and detachable chain strap. 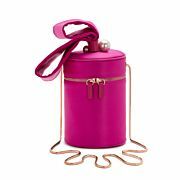 Measurements: Width 16cm, Height 11.7cm, Depth 11.7cm Shoulder Strap: 52cm.